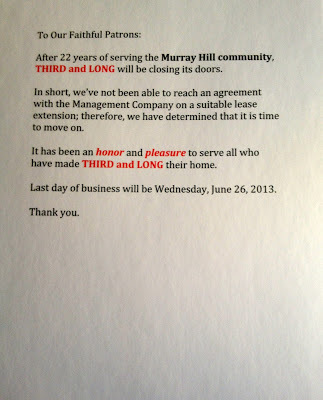 We were saddened to learn about the impending closing of Murray Hill neighborhood bar Third & Long. After 22 years, the sports bar will close its doors on Wednesday, June 26, 2013. As with many closings, Manhattan real estate is the culprit, as they could not come to agreement with the landlord on a new lease. That is the nature of the business. 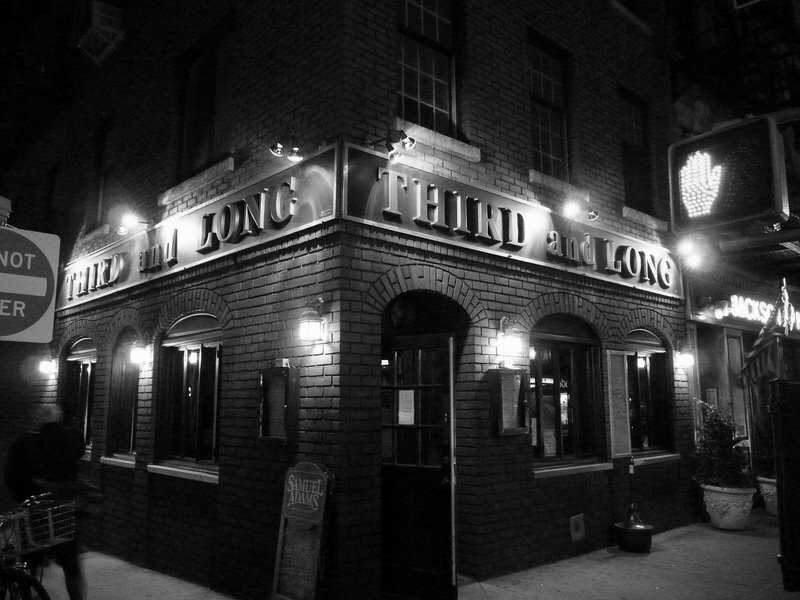 A lot has changed since firefighter brothers Jim & Matt Long opened up a corner bar in 1991. It is a testament to the Long family and how they ran their business that the bar was able to thrive for 22 years, a very long time for an establishment in NYC, where nightlife trends and neighborhoods are constantly in flux. The bar has recently earned a reputation as one of the top hockey bars in NYC, so it was fitting that the Stanley Cup Championship concluded during their final days. They were thisclose to having a Game 7 coincide with their final night. Instead, I’m sure they will be showing Mets & Yankess baseball. 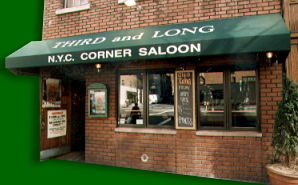 So in the spirit of “Do it while you still can”, stop into Third & Long one last time between now and the 26th, because they don’t make bars like this anymore.